We, at the Interdenominational Assembly of Churches, invite you to join us in membership in our association for mutual benefits in the name of Christ. 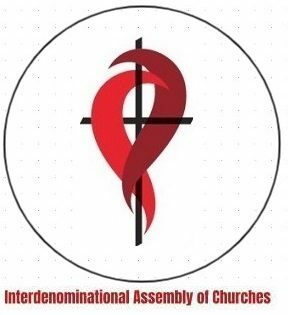 The Interdenominational Assembly of Churches Ministry Association (IAoC) was created in 2017 in which we had our 1st Symposium in January 2018. Then we had only four (4) church affiliate members and two associate members. Now in the last months of 2018 and beginning of 2019, we have 18 churches members or Christian organizations represented by 83 Ecclesiastic persons from Nepal, India, Pakistan, Malawi, Uganda, Kenya, Canada, Cameroon, Togo & Ghana, Brazil and Burundi. Formed out of the Indian Pentecostal Church and the African United Methodist in Malawi requested in 2017 to work with us. The “Interdenominational Assembly of Churches was born upon the teaching of Christ. We are an association of members churches and para-churches serving members over 25 head churches across the world. Through our local churches and our online ministries, we provide a Seminary, a Bible Academy, a Missions Outreach program and resources like counselling and support committee for Ecclesiastical rules and order via our Canon Law and Ecclesiastical College (House of Bishop) and many more. The IAoC is divided into five regions, Africa, America, Asia, Europe and Oceania overseen by a “District Superintendent Bishop”, who provide the management and spiritual support to the churches that he is responsible. Canada is the central Headquarter in-which Archbishop Eric Michel Minister & Founder is the international Elected Prelate and executive director of the organization. Members vote every year upon resolutions and other business of IAoC. All Ministers serve on the membership annual assembly named the Symposium. The Archbishop, from the House of Bishops, Rt. Rev. Eric Michel was elected in 2011 for life or resignation, only the House of Bishops is involved. President of the House of Bishops nominated in 2014 the Rt. Rev. Marie Arnold not permanent, usually after 2 terms the president become an Honorary Bishop. Church name, address, phone number etc. Can we be exempt from the membership due? Yes but other conditions apply for more information please contact the association at association@iaoc.church and only valid for countries considered to be poor. Membership fees for an individual (Donation of 21.00 $ CAD) per year. From 2014 to 2019 our donation request raised up of 11.00$ CAD in 5 years, who can say the same thing in our times of inflation. Our fees are to sensibilise participation from our members, and to accumulate for our funds to support our churches members and their activities. Membership fees for an individual Clergyperson per year. The IAoC is an Association representing churches, congregations and ministries and other Christian organizations from around the world. Our Staff serves as a support to member churches, pastors and associates and affiliates. When you choose to become an IAoC Partner, you join a worldwide movement of Local Churches, Ministers and Lay Leaders. IAoC‘s main role within the association is to equip Local Churches to reach their communities for Christ. As an IAoC Partner, you will not only gain the following benefits, but you can also feel good about an international association of like-minded fellowships members who are focused on Christ-centered, gospel-ministry. There are three partnership levels, Associate Partner and Affiliate Partner and individual. Membership is a community of churches sharing a common vision of supporting biblically churches globally, representing members from diverse churches, denominations, regions, cultures and ethnicities who want to learn from each other and see the Church thrive worldwide. Like all online gifts, transactions are subject to transaction processing fees from banks, credit card companies and/or supporting brokerage firm. To ensure our fee structure is as simple, our fees include PayPal processing costs. The membership by any church is entirely voluntary. Each congregation makes this decision based on its acceptance of the IAoC constitution and its willingness to enter into the covenant with the Symposium General Assembly and every other congregation affiliated with the Symposium. Your application will be sent to the Membership Team of the Symposium Permanent Synod for their recommendation. After reviewing your information, they will either request more information from you or will present your application to the Permanent Synod with a recommendation for approval. If approved, your corporation is granted Membership with access to all IAoC resources after your donation is paid and until the Delegates log in the G Suite and Workplace then they will be authorized to vote at the next Synod Meeting and/or Symposium. Parachurch organizations are Christian faith-based organizations that work outside and across denominations to engage in social welfare and evangelism. Parachurch organizations seek to come alongside the church and specialize in things that individual churches may not be able to specialize in by themselves. They often cross-denominational, national, and international boundaries providing specialized services and training. These bodies can be businesses, non-profit corporations, or private associations. Most parachurch organizations, at least those normally called parachurch, are Protestant or Evangelical. Some of these organizations cater to a defined spectrum among evangelical beliefs, but most are self-consciously interdenominational and many are ecumenical. In Protestant and Catholic, theology parachurch organizations are termed sodality, as distinct from modality, which is the structure and organization of the local or universal church.